Maputo — A guard who works at the palace of the governor of the northern province of Niassa, Francisca Tomas, died on Friday night in an ambush by armed men against a truck near the Ruassa river, on the border between Niassa and the neighbouring province of Cabo Delgado, according to a report in Tuesday's issue of the independent newssheet "Carta de Mocambique". The paper's sources link the attack to the islamist insurgency under way in parts of Cabo Delgado since October 2017. If this connection is true, then this is the furthest west the terrorists have struck. The truck was carrying merchandise from Niassa to the port of Pemba, on the Cabo Delgado coast. The vehicle was hit after it had crossed the river and was heading towards the town of Balama. This is the nearest attack so far to Niassa. The administrator of the Niassa district of Marrupa, Angelina Nguirazi, said she is concerned by the situation because her district borders on Cabo Delgado. "Carta de Mocambique" says the Niassa authorities are worried at the possibility that the Cabo Delgado insurgency will spill over the provincial boundary. Certainly Francisca Tomas herself believes that the islamists are recruiting youths in Niassa. The paper's sources say that in recent rallies in Majune and Mavago districts, Tomas has warned that "young people from Niassa are dying in Cabo Delgado". 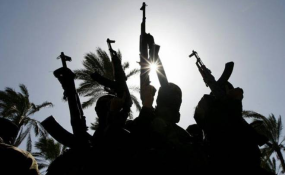 To discourage Niassa youth from embarking on such potentially lethal adventures, campaigns of civil education to dissuade people from joining the terrorist group are under way in Mecula and Marrupa districts. The insurgents are known in Cabo Delgado as "Al Shabaab", although there seems to be no direct connection with the Somali terrorist group of that name. The group calls itself "Ahlu Sunna Wa-Jama". It makes standard jihadist demands for the imposition of Sharia and for banning the sale of alcohol. Orthodox moslem groups in Cabo Delgado, and elsewhere in the country, have denounced the group, denying that they are truly moslems at all.